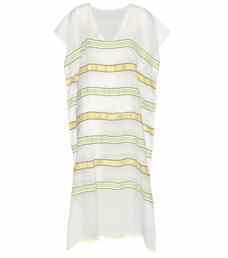 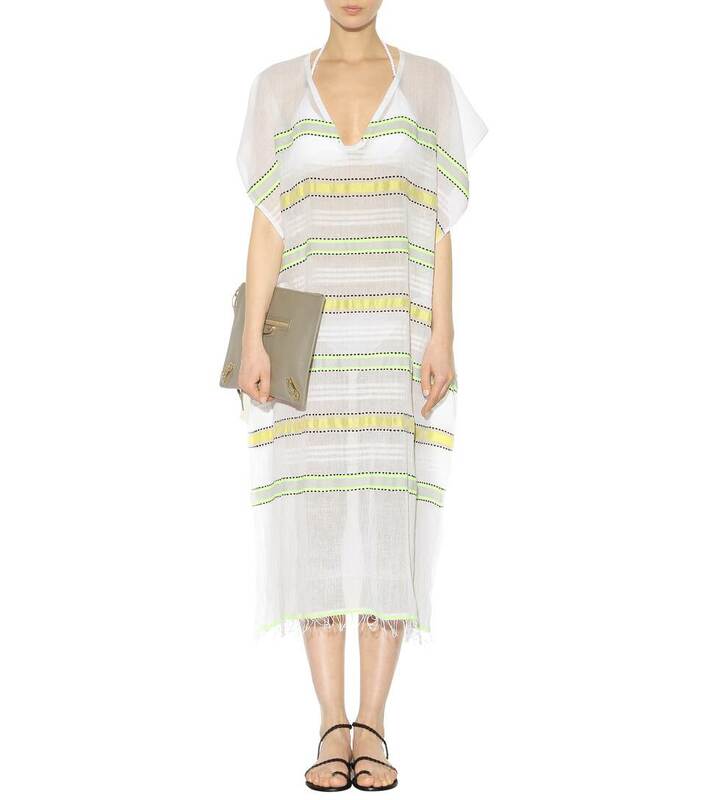 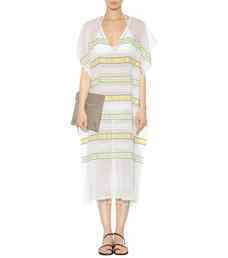 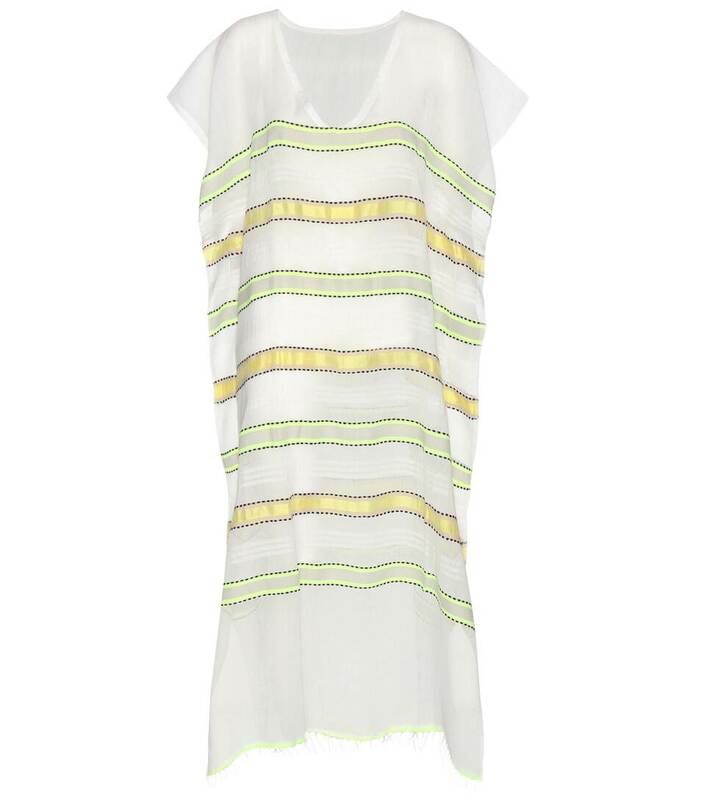 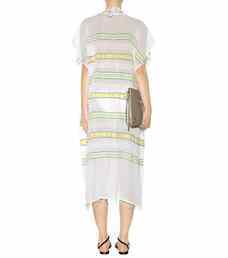 Specialising in lightweight summer pieces ideal for the beach, Lemlem gives us the 'Addis' kaftan. 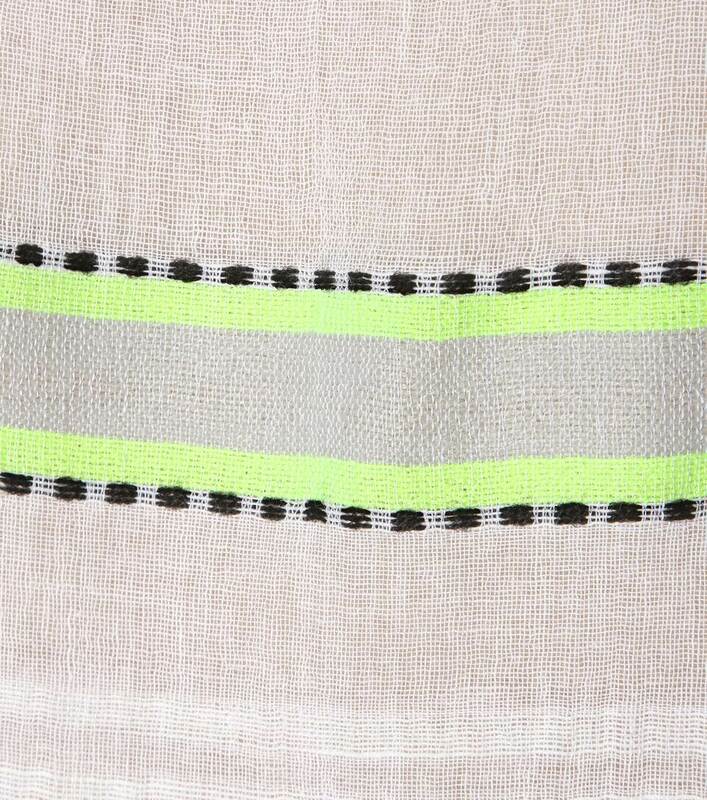 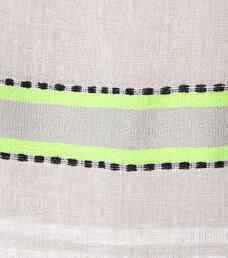 The cotton design is finished with woven-in black dots and stripes of yellow and neon green on a white base. Slip it on over your bikini when headed to lunch on your next getaway.